We have four trail cameras set up on Turkey Vulture nest sites in an attempt to gather data on the activity of the adult birds. So far all four sites have been visited by adult vultures. Unknown to many folks is the importance to old decadent hollow oak trees to provide nest cavities for these birds. 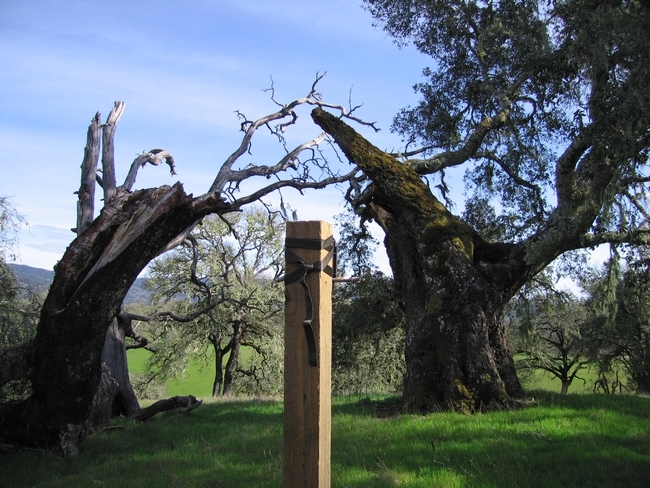 The photo shows one of the trees and the camera set on a post. UC-HREC Lambing Season Winds Down! Here at the Center we "lamb" almost 100% of our ewe flock inside the main barn. Over 600 ewes are lambed each spring and HREC now has the largest Mendocino County sheep flock. 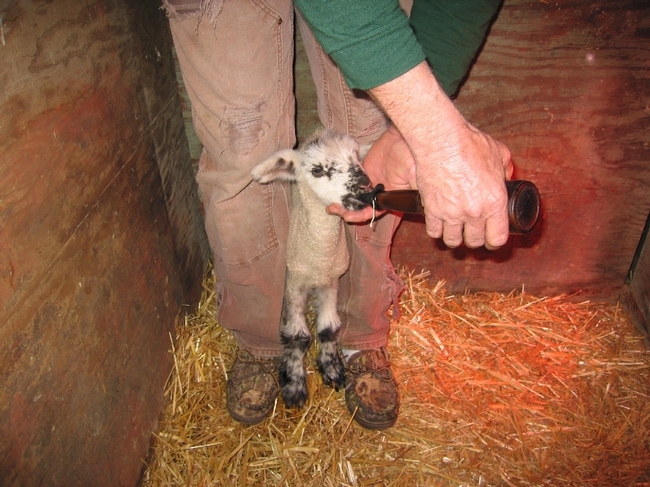 Here you see the last of the 2011 lambing season results ... a "bummer" lamb (ie. a lamb without a mother for some reason... we get just a few each year) being fed and kept warm. 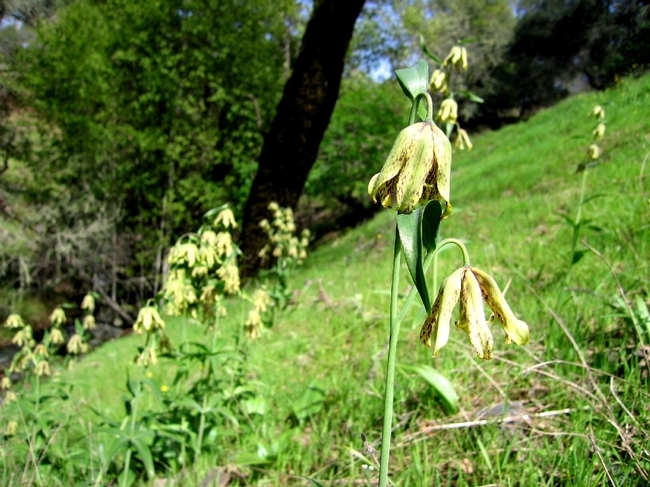 Mission Bells (Fritillaria lanceolata) are one of the first springtime flowers to welcome the warm sunny days at HREC. This particular wildflower, which is in the Lily family (Liliaceae) is sparsely scattered thoughout the oak woodland and chaparral habitats, usually in shady cool places. 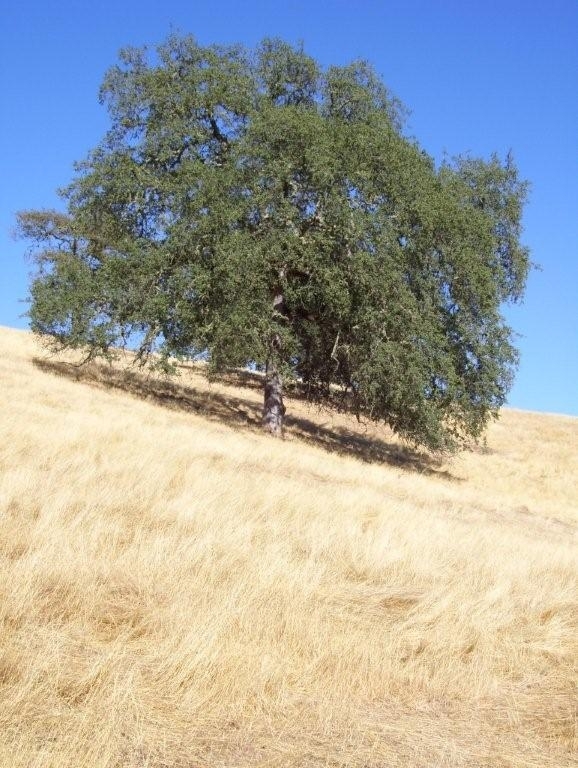 This photo portrays one of the better "stands" found on HREC. 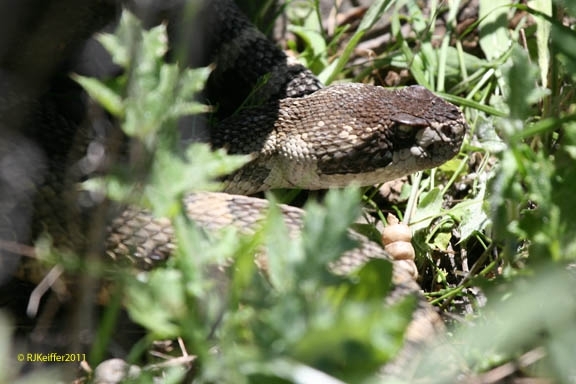 Pacific Rattlesnakes are out now at HREC! Pacific Rattlesnakes (Crotalus oreganus) are common at their denning sites right now.  I have a UC Davis researcher, herpetologist Dr. Brad Schaffer possibly interested in doing some research on them at HREC.